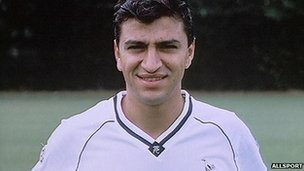 When the Premier League started in 1992, it included just one footballer known to be Muslim, Tottenham’s Spanish midfielder Nayim. England’s top division now features 40 Muslim players and they are having a significant effect on the culture of the game. On 5 February, 2012, Newcastle United played Aston Villa at St James’ Park and one moment symbolised the impact Muslim players were having on the Premier League. After 30 minutes, Demba Ba scored for the home side. He raced to the corner flag and was joined by Senegalese compatriot Papiss Cisse. The two devout Muslims then sank to their knees in prayer. The growing influx of Muslim players has been fuelled by the internationalisation of football. Scouts have spread their nets wider in the search for new talent and the Premier League has become a much more diverse place. Young men with origins in remote villages of west Africa or tough estates in Paris have become global stars. They may have found wealth and fame playing for English clubs, but many still hold on to something that is rooted in their cultural identity, something that guides them and comforts them when the going gets tough – their Islamic faith. When a player of the calibre of Ba, who left Newcastle last year to join Chelsea, says he is serious about his religion, some might argue clubs cannot afford not to listen. And there is a genuine willingness, on the part of managers and clubs, to understand and accommodate the religious needs of their players. 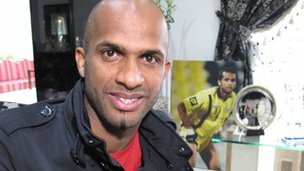 Muslim footballers are provided with halal food, have the option to shower separately from the rest of the team and are given time and space for prayer. Until recently, all Premier League players named man of the match were awarded a bottle of champagne. Yet for Muslims, alcohol is forbidden. So when Manchester City midfielder Yaya Toure politely refused to accept his award on religious grounds during a television interview, the competition organisers were forced to sit up and take notice. Champagne was phased out and now all players receive a small trophy instead. When Liverpool won the League Cup final in 2012, players had the sensitivity to move the clothes of their team doctor, a devout Muslim, out of the changing rooms so that alcohol wasn’t sprayed over them. Yet there are challenges to managing Muslim players and Ramadan is a particular pressure point. How can players who aren’t eating or drinking for up to 18 hours of the day perform at the highest level over 90 minutes of a game? Some players insist on fasting every day. Others may fast during training but not a match day. Clubs tend to muddle through with some kind of compromise, but it can’t be an easy period for players or managers. Ba, 28, admits he has had some issues with managers about Ramadan, but says he has been steadfast. Ramadan this year ends on 7 August, 10 days before the start of the Premier League season. Sponsorship deals have also been a source of tension. Teams who advertise gambling and pay day loan companies on their shirts put their Muslim players in a difficult position, as it means they are being used to promote activities which contradict Islamic teaching. Last month Cisse said he planned to talk to Newcastle and their new sponsors, Wonga,because he was worried his Muslim beliefs would be compromised if he were seen to promote the company. Crewe striker Nathan Ellington, 32, who has also played for Wigan and West Brom, takes the view that he cannot affect which sponsor his club chooses. Fans are also getting an education in Muslim practices. When manager Alan Pardew suggested Ba’s slow start to the 2011-12 season was due to his fasting, fans picked up on it and marked every subsequent goal with a song celebrating how many goals he had scored since Ramadan, to the tune of Depeche Mode’s Just Can’t Get Enough. Children playing football in the parks of Newcastle have even been spotted falling to their knees as if in prayer themselves after scoring a goal. They may not completely understand what it means, but it’s a sign that Muslim practices are becoming a more familiar part of popular British culture.